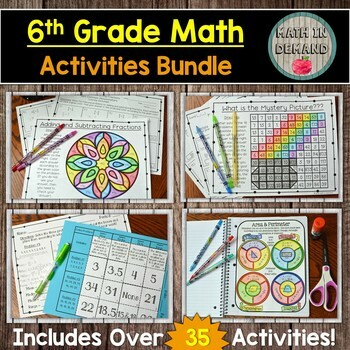 This bundle includes over 35 of my 6th grade activities. There are card sort activities, dominoes activities, coloring worksheets, hidden message cut and paste activities, and so much more! Take advantage of this bundle! Individually the cost of these resources are over $140!